Universal Metro’s trained experts are able to provide on-site, pre-installation slab moisture analysis with documented records for our commercial flooring customers. In an effort to provide better and timely service, as well as a durable end product, Universal Metro’s Substrate Division can provide complete moisture test results to comply with current ASTM standards for preparation and installation of flooring as it pertains to moisture and slab related issues. While there are other test methods, such as the matte bond and electrical impedance tests, Universal Metro primarily uses two of the up-to-date and well respected moisture analysis tools currently in the industry. The RAPID RH Relative Humidity Probe has been proven to significantly decrease the time it takes to measure moisture in concrete floors. 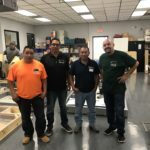 The RAPID RH revolutionizes concrete floor testing by combining a moisture sensor, power supply, and display all in one detachable device that is inserted into the concrete slab. This small, rugged, low-cost instrument allows for quick, accurate floor moisture and temperature readings. The RAPID RH eliminates guesswork, messy testing methods and is disposable. It can be left in the test area and becomes part of the matrix. RH tests need as little as 3 hours to provide accurate on-site results. Calcium Chloride tests are the historical standard in the floor covering industry for moisture detection. Although typically not as accurate as moisture probes, they are a fairly inexpensive method of moisture detection in concrete slabs. Calcium Chloride tests are generally three day tests. 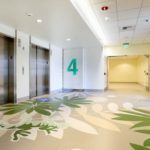 As part of our goal to be the preeminent single-source commercial flooring company in Southern California, Universal Metro provides some of the most prominent lines of moisture control products and systems available. These products result in less complaints and sharply decreased failure rates. Moisture remediation has become an especially vital issue in flooring contracts today. 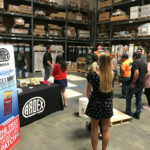 Because of the significant losses that can occur due to moisture issues, flooring manufactures are now instituting stricter moisture specifications for their products (typically 3-5 pounds maximum moisture vapor emission (MVER), or 75-85% relative humidity (RH) depending on the product). To properly address these new standards, Universal Metro can properly prepare the substrate and then install a moisture control system. A system can usually be installed in three days (scarifying and mechanically preparing the substrate, moisture control application, and self leveling with cementitious underlayment), and can save hundreds of thousands of dollars in some cases. Universal Metro uses industry trained and qualified professionals to install several types of moisture control products for its customers to satisfy their commercial flooring needs. Moisture control systems are typically one or two part epoxy-type layers that bond directly to properly prepared concrete surfaces. They are designed to limit moisture transmission through the slab, alleviating the chances of flooring failures significantly. 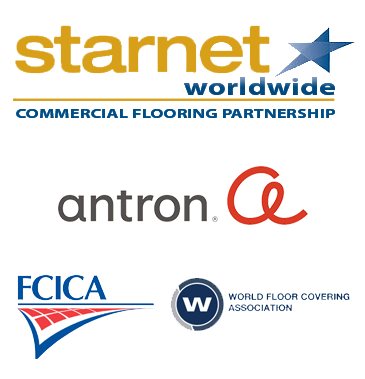 When flooring is installed into high traffic or high risk areas, this can provide owners, architects, and contractors increased peace of mind. 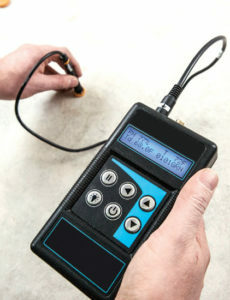 For more information on moisture testing and remediation, please contact Universal Metro.